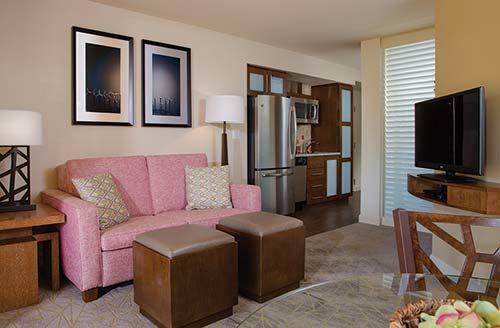 A resort oasis in California's Palm Desert, Marriott's Shadow Ridge is nestled among scenic fairways, lakes, and mountains, and offers spectacular views of Mount San Gorgonio and Mount San Jacinto. 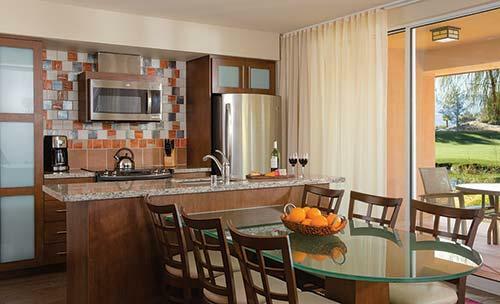 The two-bedroom, two-bath villas have a fireplace in the living area, a relaxing soaking tub in the master suite, and two private balconies. 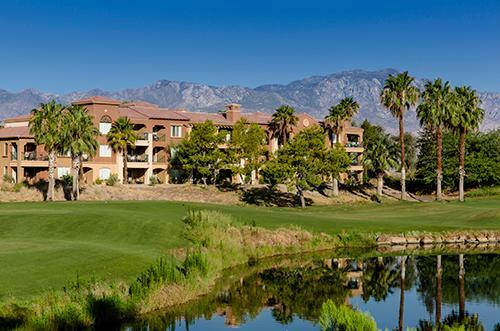 Guests can enjoy the on-site pools, restaurant, barbecue grills, activities center, and golf instruction and play, surrounded by the natural beauty of the Little San Bernardino and Santa Rosa mountains.